While a number of luxury fashion houses are undergoing radical changes, Chloé is pretty much keeping everything intact with Natacha Ramsay-Levi at the helm. She has kept a focus on driving the house further forward, expanding the boundaries of the label created by a woman for the woman, and in so doing introduced several gorgeous bags in her runway shows that are still very much in line with Chloé’s DNA. You’ve seen Tess, gotten familiar with the Drew Bijou, and now it’s time you met Roy. What started out as a day bag sees the Roy family expanding to include an all-new bucket version that retains the very essence of the original. Two oversized O rings on either side, a single top handle, and a longer strap that all-in-all hits the right notes on both form and function. The Roy Bucket Bag can be accessed via a drawstring bag within that keeps your items safe within the roomy interior, and is currently available in two sizes, a Small and a Mini. 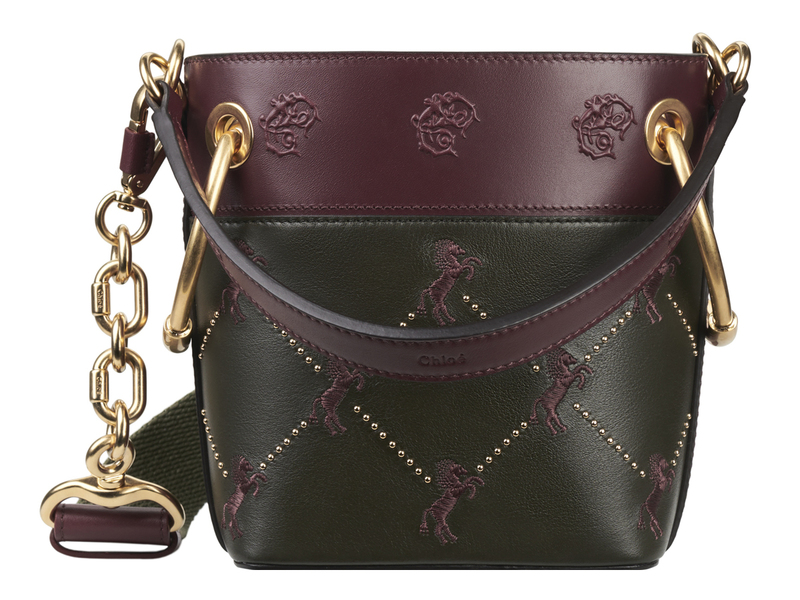 Today, the focus is on the Mini Roy Bucket Bag, specifically the Fall-Winter 2018 version that comes with the horse-motif embroidery. Measuring 20 cm wide and 17 cm high, the bucket bag can be carried in one of three ways – like a mini handbag via the top handle, slung over the shoulder, or adjust the removable longer strap to carry it across the body for a chic hands-free look. The two bags shown above both come with horse embroidery but are slightly different from the other. 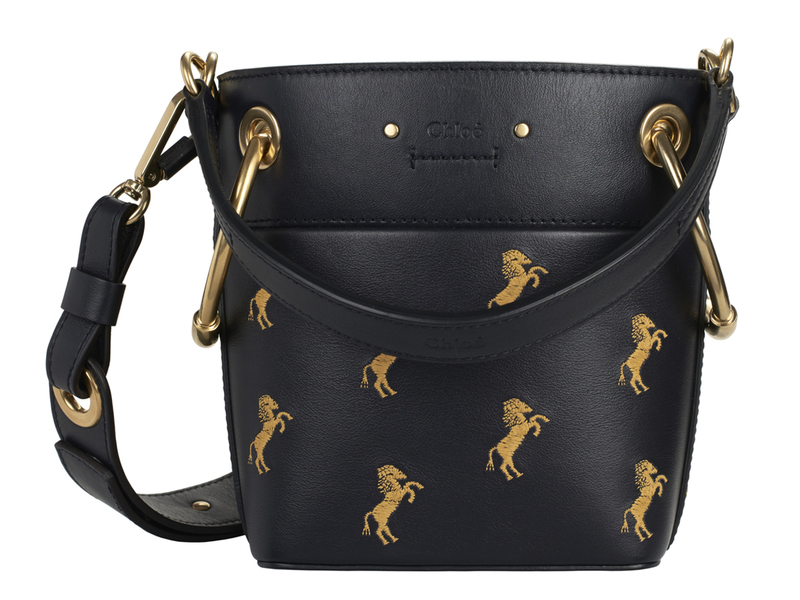 One comes in a classic Dark Blue exterior with gold horses (SGD2570), while the other features a mix of the horse embroidery with the debossed Baroque C motif upper for those that prefer an edgier piece. Where? You can find the Roy, along with other bags like the Drew Bijou and Tess from Chloe’s Fall-Winter 2018 collection, at the brand’s standalone boutique at Marina Bay Sands now.